When you have the highest possible rate of employee retention it keeps the work and the cost down; it will also reflect in your levels of membership retention too. 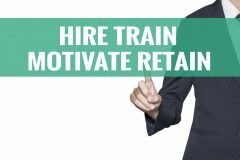 Unfortunately, hiring staff can be like jumping on a treadmill that’s cranked up to eleven; it’s hard work that takes all your time and another expense to eat into your bottom line if you have to keep doing it. The point of having employees is to have reliable and competent agents, so you can go home, relax, and sleep soundly at night, leaving them in charge. It is enough hard work and expense to find them that one first time. You may have heard that the rideshare company Uber has been having some employee problems. It seems that Uber allowed discrimination that caused female employees to feel blocked and undervalued and they tended not to stick around for long. It’s not like there are too many software developers fighting for a few jobs, trust me, hiring talented female programmers is more than just a cultural issue it helps fill critical positions. In retail operations like gyms, diversity also helps to create the right environment to attract and retain your customers as much as your workers. Listening to feedback from employees is a simple thing you can do to prevent high staff turnover, and worse. When you take action in response to troubling information it’s not just a good policy it’s good business. Clearly, gyms are different from the tech industry, but we all need to be vigilant in creating and enforcing policies that are good for our businesses as well as employees and customers. After all, these three elements are more than a little connected, right? As an owner, you are the one who has to deal with toxic workplace issues. Now, you may or may not have serious problems. In any case, the only way to consistently hold on to your employees is to have a process that goes from beginning to end of the cycle for all stages of the relationship they have with your gym. Retaining gym employees is not so different from keeping your customers longer. You can expect that there is some overlap of the factors that make gym staff happy that keeps customers contented. That is a valuable point because it means that how you retain one can improve retention for the other. You may suffer some losses along the way, particularly in the early stages, but you can apply everything that you learn and use it to hold fast to your people in the long run. The changes you make due to feedback from leaving staff and the way you change your business could make a remarkable improvement in your employee retention. A refocused and motivated team will shift gears, increase its performance, and the change will rub off on your customers too. Just like you need to have an orientation process and package for new members, you need an employee onboarding process that’s more than reviewing paperwork and signing forms. The start of your working relationship is the best time to establish the tone and meaning of your relationship, explain your expectations, and define the boundaries. Take an interest in which they are and show that you care about their lives and who they are as people. If you provide a competitive benefits package, it helps, but as long as you stay within the ballpark levels of the local job market; generally, people don’t leave because of the money. The chance to be part of something is a great motivator for workers; they want the sense that they count and that the future will bring advancement. Engagement like this may be tough to deliver directly, as a small business owner, but you can turn the need for growth into fuel to drive the business ahead. If one of your employees reveals the desire to leave, find out why, if you can. The hope should be that you could sell them on staying once you understand their motivations. Don’t take all the heat yourself; if your company is growing or you have established two or more locations, maybe it’s time to hire a human resources manager who has the certifications and experience to take charge and develop your people. Owning and running a small gym business is difficult enough without dealing with constant recruiting for either customers or employees. If you master the fundamentals of employee retention, you can keep both time and expense, at a minimum. Having staff that sticks around longer will give you more time to work on making your business better, and hopefully, it will help you feel a little bit saner on a daily basis too. Chamberlain, Andrew. Why Do Employees Stay? A Clear Career Path and Good Pay, for Starters. March 6, 2017. https://hbr.org/2017/03/why-do-employees-stay-a-clear-career-path-and-good-pay-for-starters (accessed March 10, 2017). —. Protect Your Gym With A Clearly Written Employee Handbook. November 12, 2013. https://blog.gyminsight.com/2153-protect-your-gym-with-a-clearly-written-employee-handbook/ (accessed March 10, 2017). Finley, Klint. Tech Still Doesn’t Take Discrimination Seriously. February 20, 2017. https://www.wired.com/2017/02/tech-still-doesnt-take-discrimination-seriously/ (accessed March 10, 2017). Wall Street Journal Guides. Employee Retention – How to Retain Employees. http://guides.wsj.com/small-business/hiring-and-managing-employees/how-to-retain-employees/ (accessed March 10, 2017).